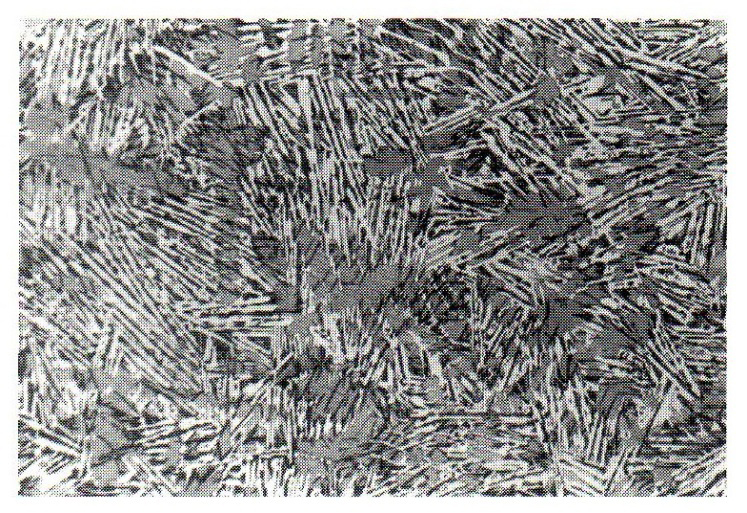 Solidification of cast iron resulting in white structure. 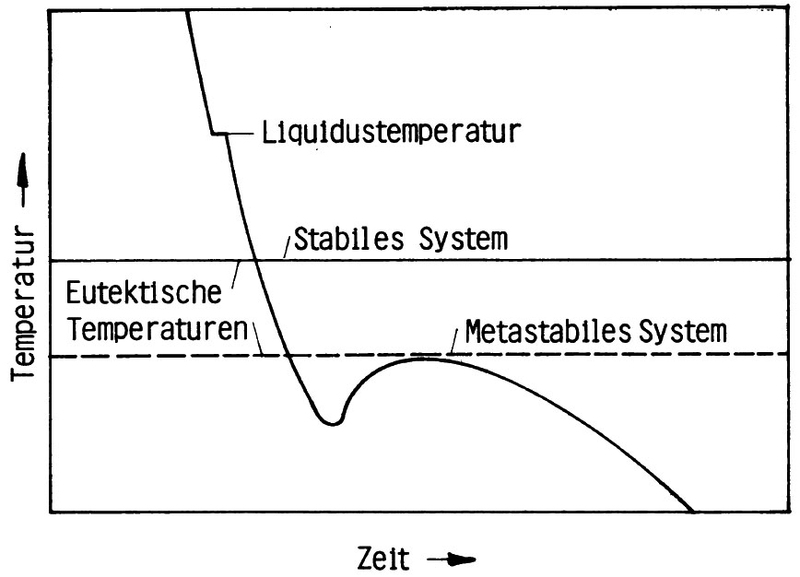 If the solidification below the eutectic temperature of the metastable system (figure 1) remains, the structure of a typically white cast iron (figure 2) is received. The whole carbon in bound shape is happens. The name white solidification recorded the cracked surface which has a bright, radially appearance because it is solidified free of graphite. In opposite to this is faced by grey solidification.